So, how does the Quit Smoking in 60 Minutes Program work? There are two parts to the method: advanced hypnosis and NLP. While hypnosis used to be shrouded in misconception and suspicion, these days it is a scientifically-proven method – used in medicine, dentistry, law enforcement, education, and professional sports. The second part of the system deals with your unique needs, using NLP to reprogram your behaviour. We all like to see a good return on our investments. Investing in a quit smoking hypnosis program yields results that extend far beyond financial: benefits to your health, your quality of life, and even your life span! What could you do with a spare $7200 every year you don’t smoke? How about spending $1038 less each year on healthcare? What could you achieve with an extra 14 years of life? YOUR INVESTMENT TO STOP SMOKING WILL PAY OFF – WE GUARANTEE IT! Investing in a quit smoking program yields a solid, invaluable return. With a 95.6% success rate, our program at Stop Smoking Sydney takes the risk out of your investment. We are so confident of your success we’re the only ones in the industry to back our program with a lifelong guarantee. Don’t take your chances with a program that leaves you to fend for yourself after the initial investment! We offer free support for life. 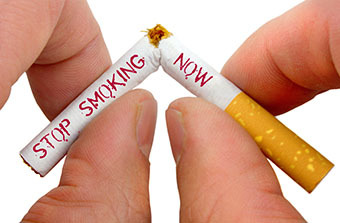 Joining our program means entering a lifelong partnership to ensure you remain a non-smoker – permanently. Ready to quit? Let's get you on the way to being a non-smoker! Click BOOK NOW to schedule your session. Not quite ready? If you have more questions or need more information, click LEARN MORE.